We have just completed arranging a funding line for another new start company within the care sector recruitment industry, providing staff to both local authorities and the NHS. Although a new start company, the business is already projecting turnover of £650K for the year, and we introduced them to a number of independent invoice finance companies as requested. They have chosen the company that they feel best fits their needs, and funding has been provided. "I just want to say a massive thank you for sorting me out with [THE INVOICE FINANCE COMPANY]. Your hard work has been priceless and I thank you for it." 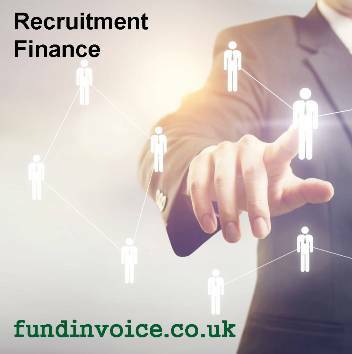 The recruitment sector are common users of invoice funding. The concentration of businesses using this form of funding is approximately 20 times the average found in other industry sectors. This is because recruiters often benefit from getting paid immediately, rather than waiting for customers to pay, so that they can access that cash to pay their staff wages. In addition to funding, other services can sometimes be provided to a recruitment consultant, such as payroll management. Within the care sector the issue of waiting for invoices to be paid can be particularly troublesome as organisations such as local authorities and the NHS can have payment processes that can cause delays. Releasing the cash from outstanding invoices provided additional liquidity and and improved working capital position.